Let’s talk about yet another scenario in real estate in which buyers and sellers are from Mars and Venus, respectively: when there are multiple offers on a home. If you’re a seller, one buyer is welcome, and multiple buyers are a windfall. Because you know what multiple buyers can mean, right? A bidding war. If you’re a buyer, a bidding war is the last thing you want. Who are these other people trying to buy the home that’s meant to be yours? Isn’t it obvious the seller should pick you? Over the course of my career in real estate, I’ve helped clients on both sides of a bidding war. As always, it’s my job to manage their expectations, no matter which position my client is in. No, a bidding war doesn’t mean your house will sell for twice what you asked – even the asking price or more. No, an outlandish offer won’t guarantee you get the house. No matter what, the best thing a broker can do for their client is be honest. Before the details of navigating through such fortune or misfortune, let me remind everyone that while bidding wars are more apt to happen when markets favor sellers, they are not uncommon in buyers’ markets. The common ground is a compelling offering price. In any market, when a listing’s price is attractive, potential purchasers will well, be attracted. On the sell side, you’re in a trickier situation than you might think. It’s tempting to overplay your hand, to keep playing potential buyers off each other to try and get the most money and the best deal. If you push too far, you could go from multiple buyers to none in a matter of hours. 1. You can tell the bidding customers and their agents that there are multiple buyers interested, and ask them to submit their highest and best offer, in writing, by a reasonable deadline. This is called a sealed bid, and each party only gets one chance to offer. The home goes to the person whose bid you prefer, and you’re done. For various reasons, this is the method I prefer and recommend. 2. If one potential buyer expresses interest before another, you can take the second (or third) bid and go back to the first buyer in good faith to tell them other parties are interested, and by how much they’d need to change their bid to keep their bid in contention. However, in this case, sellers should resist the temptation to take the first buyer’s offer back to the second (or third) buyer and try to inflate the bids even more. This quickly becomes overplaying your hand and you put all of the bids at risk. There is another, similar scenario: You’ve accepted a buyer’s offer but haven’t closed, and someone comes along and offers you more money. It might seem like a no-brainer to change lanes and accept the second buyer, but it can be a risky move. Even if the next buyer will beat that first buyer’s bid, he learns two things about you: First, he knows that you won’t honor the deal if someone else comes along, and second, he knows that he’s currently the frontrunner, or perhaps the only horse, in the race. That gives him leverage to start negotiating again, and it means you’re stuck with one buyer who’s under no obligation to stick to his word. Entertaining the second offer might not be worth the trouble. It might work in a market with considerably more buyers than inventory, but even then, it can backfire. Also, make sure that in a bidding war, your listing agent doesn’t represent both the seller and a bidder. It’s a conflict of interest. In this case, a responsible agent will step out of one of their roles, and ask the agency’s manager to take one of the roles. If your listing agent brings a client who becomes a potential buyer snared in a bidding war, you should expect that they step aside. On the buy side, I give all customers the same advice: Act like there will be multiple bids. If the time and price are right for you, I tell them, they’re probably right for someone else as well. And that’s why, even if the house has been on the market for months or years, you could end up participating in a bidding war. I know, it’s a message that is hard to believe. The realty about a bidding war is that only one of the bidders wins. I tell customers a few things when they’re considering making a bid on a home that already has one: You might not get the house. You might end up spending more than you want. Your bid might be used to get the seller more money, but you still might not end up with the home. My advice is to come in strong, and in addition to an offer without contingencies to offer something the first bidder wouldn’t have thought to offer. I don’t mean money. I mean offer something to engender good will, like saying you’ll occupy the house in September instead of May so the owners can use or rent the home one last summer. Offer to clean the home out. Say you know they love those enormous rhododendrons in the front yard, and you’re happy to let them take all four to their new house. Offer to buy their furniture (although I usually caution people to stay away from involving furniture in a transaction). And it never hurts to write a letter. The seller loves their home, and they think it’s wonderful. Write to them and tell them how wonderful you think it is, too, and why you want to live there. While it might seem straightforward, like the buyer who offers the most money gets the deal, it’s usually more complicated than that. 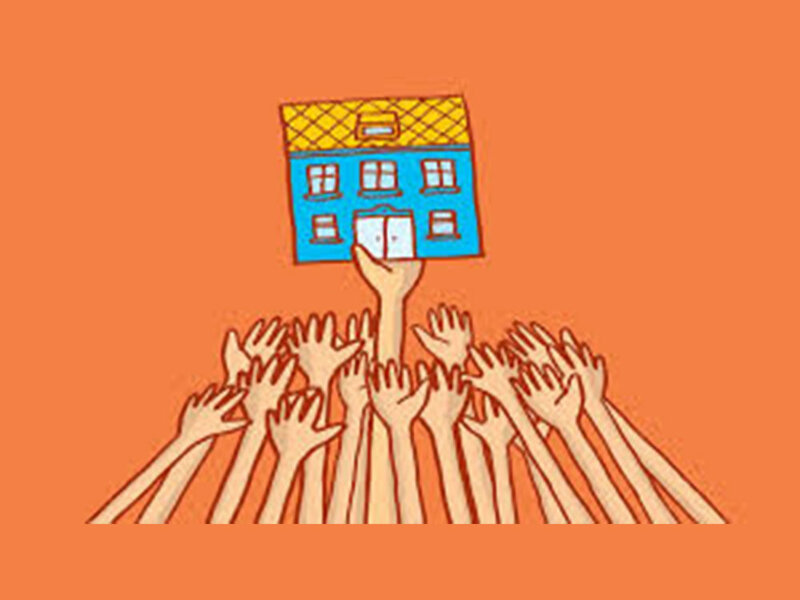 Sellers (and listing brokers) are people, too, and a little good will can go a long way. These acts of kindness won’t save you thousands of dollars but will make your bid stand out among the competition. Unless something goes terribly sideways, every bidding war has a winner — and at least one disappointed would-be buyer whose bid wasn’t accepted. If you aren’t the winner, and especially if you’re the broker representing someone who didn’t win, it’s extremely hard not to call foul play. It’s a small world, and I believe strongly that if you, especially as a broker, choose to say negative things about someone else, your customer quickly understands that you’re the sort of person who will say negative things about them. Walk away from a bidding war choosing to see it as a learning experience. Next time, you could be the one who wins. This website is not the official website of Saunders & Associates or its affiliated companies, and neither Saunders & Associates nor its affiliated companies in any way warrant the accuracy of any information contained herein.